You’ve tried everything, but you and your significant other just can’t seem to make it work. Let Rhode Island Divorce Attorney Susan T. Perkins help you untie that knot. Rhode Island Divorce Attorney Susan T. Perkins is experienced in marital dissolution, complex property division, child custody and child support, maintenance, alimony, property division, relocation and more. Marriage is a legal relationship between two people, but when it doesn’t last till death-do-us-part, many legal matters quickly arise. Whether the marriage dissolution is easy or complex, you’ll need an experienced Rhode Island divorce lawyer to help you find your way to a settlement agreeable to all parties involved. As your legal representative, Rhode Island Divorce Attorney Susan T. Perkins has the experience and creativity to understand the difficulties that arise, as well as the flexibility to help you discover new ways to cope during this potentially stressful time. As a Newport Rhode Island divorce lawyer, it’s Attorney Perkins’ job to reduce your stress due to divorce and family law matters. Perkins will vigorously represent your case no matter it’s situation. Whether your case calls for litigation, collaboration or mediation, Perkins will put her experience and skills to work for you. 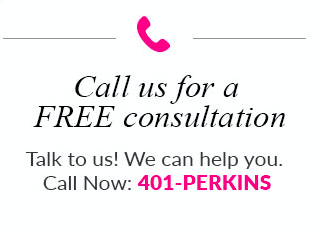 Contact Susan T. Perkins, Family/Divorce Attorney at Law, for assistance with your divorce, today. A dissolution of marriage, or divorce, can be a stressful, emotional event in people’s lives. It necessitates an attorney who is sensitive to this fact. The divorce process is confusing, the outcome is riddled with fear, and the changes people face in a divorce or legal separation are challenging. There are two types of divorce: uncontested and contested. Uncontested divorce, or collaborative divorce, is one in which both sides are in agreement over the divorce and simply in need of the guidance of ironing out the fine details. Uncontested divorces don’t go to court and terms are instead settled between the two parties and a lawyer. These types of divorces move much more quickly through the courts and cost less than a contested divorce. Contested divorce, or a traditional divorce, is one that does not see eye-to-eye on divorce terms. Contested divorces are typically emotionally charged in nature and require a degree of skill to successfully mediate the situation. In the event of a contested divorce, the case will follow a process similar to that of any typical lawsuit where one person sues another. They will then rely on the court system to reach a legal resolution. The divorce case will then proceed in three stages: commencement, discovery, and settlement or trial. It is not uncommon for a contested divorce to reach a settlement before a trial occurs. If you are considering a divorce, or if you are unmarried with a child, or need assistance with amendments to a prior Court Order, Rhode Island Divorce Attorney Susan T. Perkins can help you. As a skilled attorney licensed to practice law in Rhode Island, Connecticut and Massachusetts, she can help you with whatever legal matters you may have. Rhode Island Attorney Susan T. Perkins cares about her clients and will listen to your concerns, answer your questions, and will keep you fully informed about your case. If you and your partner want to split but also want to avoid a bitter divorce, discuss the possibility of mediation with your divorce attorney. This alternative to the divorce courts accomplishes the same goals – splitting assets, agreeing on custody, etc. – but does it in an environment that is more open and less hostile than the courts. This option also tends to lead to a faster resolution and cost less overall. If you are more interested in being divorce than getting divorced, mediation is worth discussing with your divorce attorney. Gather Financial Information – Start collecting relevant and up-to-date financial information together in one place. Open a P.O. Box – This way you can be sure all your mail is being sent to a secure location. Begin Saving Money – Even if you work with the least expensive divorce attorney you can find, gong through this process will put a strain on your finances. Open New Bank Accounts – You will want to establish your independent banking accounts before trying to unwind your finances from your spouse. Get New Credit Cards – You will want to start building your line of credit. Plus, your accounts may be frozen during the divorce proceedings. Print a Credit Report – Having a snapshot of your credit at the beginning of the process can help your divorce attorney to spot any suspect activity later on. Inventory Your Property – Make a list of all the property that you went into the marriage with. The more detailed this list is, the more it will help your divorce attorney to ensure you leave the marriage with all that same property. Change Your Estate Plans – If you die before your divorce is final, your spouse may receive all or most of your estate. Do you have questions about divorce in Rhode Island? We’re here to help. With knowledge on your side and the assistance of an experienced Rhode Island divorce attorney, you can get through a tough time more easily. What should you know about divorce in Rhode Island? Our frequently asked questions (FAQ) should cover the basics, so you feel more informed. Here are answers to some general questions about filing for divorce in RI. An uncontested divorce is when both parties agree that the marriage should be terminated. They also have agreed on all aspects of the division of property, alimony, and children. Is there a special process for an uncontested divorce in Rhode Island? No. In Rhode Island, you simply file for a no-fault divorce. When in court, you explain that you agree on all issues regarding your divorce. One spouse claims “irreconcilable differences”. Even if both spouses are at fault for causing the marriage to fail, the fault is not considered by the court at all. What are the requirements for a no-fault divorce? Both spouses must have been living in RI for more than one year before the divorce. OR you and your spouse have been living separately for more than three years. Can one spouse stop paying for household expenses? No. When a complaint is filed, court orders are put into effect that maintains the “status quo”. For example, one spouse may not stop depositing their paycheck into a joint household account. No one may remove funds from joint accounts. All bills, rents, mortgages, etc. must continue to be paid until the judgment is final. How do I file a divorce complaint? It is best to consult with a Rhode Island divorce attorney, who will provide you will all the necessary paperwork. Your lawyer will also file the paperwork with the courts for you. Many forms can also be found online here. What forms need to be filed? A DR6 is a form that must be filed with your divorce papers. It is a “Statement of Assets Liabilities Income Expenses”. Both parties are required to fill out this form. It covers all income, assets, and expenses. Do I have to serve my spouse with divorce papers in an uncontested divorce? Yes. The spouse must be served by a local sheriff or constable. Normally, this will be handled by your lawyer’s office. A copy of the papers must also be filed with the sheriff’s office. How long do I have to wait for a court date? After the complaint is filed, the clerk will schedule a court date for approximately 75 days afterward. In some cases, the judge may waive the waiting period. To do this, both parties must sign a waiver stating there is no chance of reconciliation. Is there a waiting period in Rhode Island? Yes. If the grounds are “irreconcilable differences”, there is a waiting period of 90 days after your court appearance. If the grounds are living “separate and apart for at least 3 years” there is a 21 day waiting period. Rhode Island has a set calculator based on income to determine child support obligations. It takes into account the amount each parent earns and the costs of child care and medical insurance. If your child goes to a private school in Rhode Island, that is a matter settled out of court. In RI, a judge can’t order a spouse to pay tuition because it is an optional expense. Do most divorcing couples get joint custody of children in Rhode Island? Yes, provided both spouses are fit and proper parents. Joint custody refers to making major decisions about the child, like schooling and medical decisions. It does not mean a child splits their time 50/50 between parents. Placement means the child or children reside with one parent. The other parent receives all reasonable rights of visitation. In Rhode Island, alimony is rarely awarded. If it is, it is usually only for a very short period of time. How do I find a Rhode Island divorce lawyer? Contact an experienced Rhode Island divorce lawyer here for a free consultation.